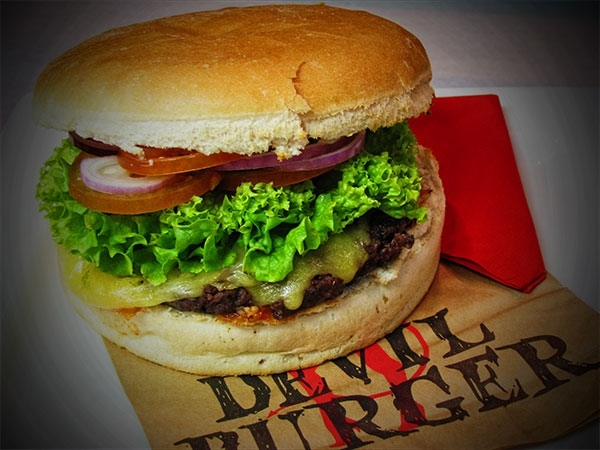 Enjoy the best burgers in Queenstown at Devil Burger. Don't fancy a burger? Try a wrap with the same great tasty fillings. And don't forget to add some sides - choose from chips with sauce, curry chips or garlic cheese chips, mushrooms or onions rings. Keep warm by the fire with a glass of mulled wine in winter or take away your burger in summer to eat on the lake shore.